Staying at the Elephant Safari Park Lodge has been incredible. 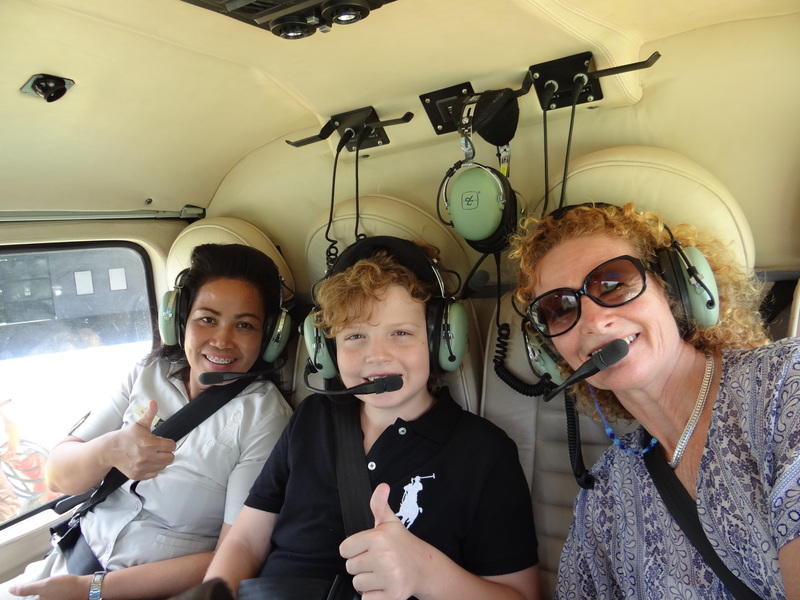 We’ve just spent the last hour talking with the owners of the Elephant Sanctuary, and during this conversation, Nigel Mason invited us to join his wife Yanie in there recently acquired luxury helicopter with their reasonably new company – Bali Adventure Sky Tours to fly over the top of a volcano. Instantly a resounding “Yes” came from both Explorason and me. 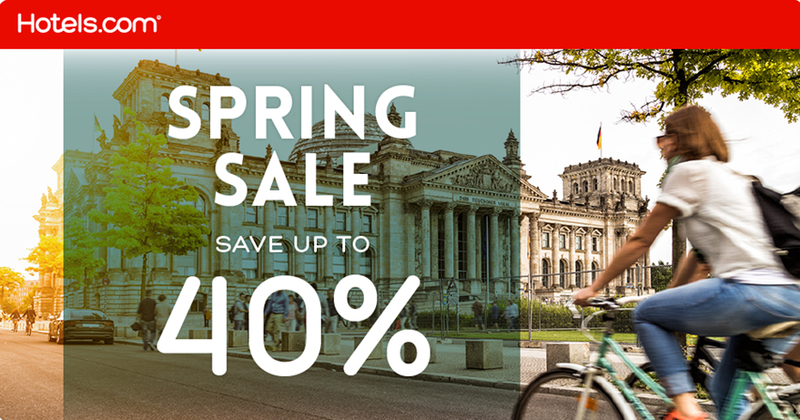 As world explorers, we love new opportunities to experience travel. We raced to get ready, whilst they contacted the pilot to have the flight plan approved. We hadn’t even packed up our room. We’d had such a jam-packed agenda since arriving (and we’d stayed up late the night before to watch how Nigel had rescued the elephants from a Sumatra Elephant Camp that he’d brought her by ‘Operation Jambo’). We contacted reception by the in-house phone, and we organized a later check-out. We had already used a local driver, so it was easy to arrange a later pick-up time. 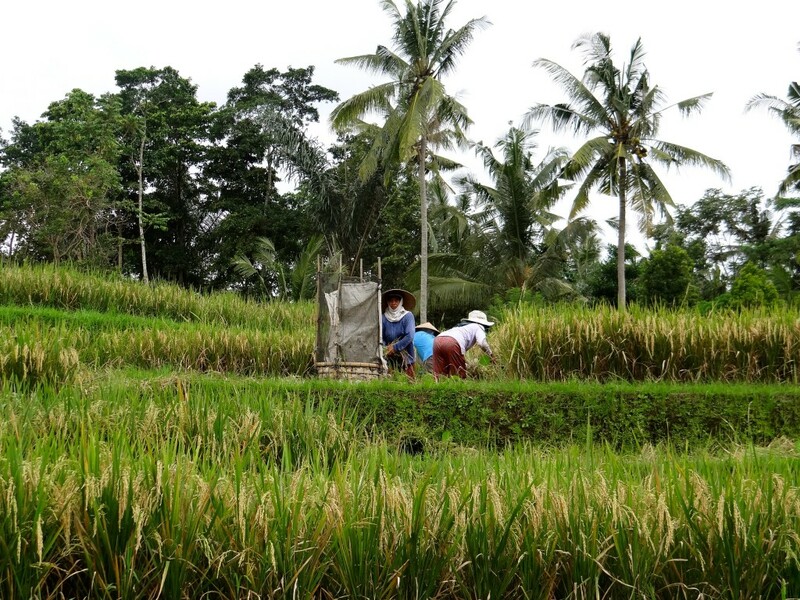 Thankfully, Balinese are very accommodating towards the tourists that visit their island. We quickly said goodbye to our new friends. 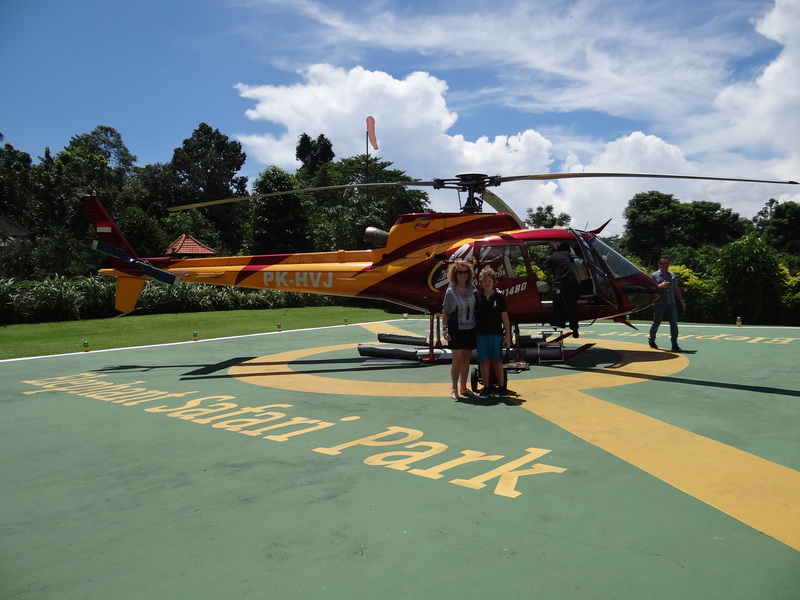 Their son came with us to the helipad to watch us take off. He was such a lovely young man, and he and Explorason had been getting along so well. It was a shame it was such a short time they had together. This was one of those ‘moments -‘ where you just grab what is presented before you with both hands, and enjoy what comes next. 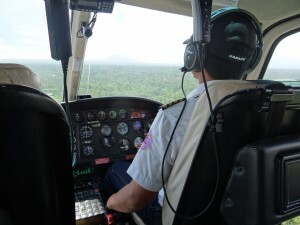 Safety comes first with Bali Adventure Sky Tours so we quickly learned. We didn’t just run over and hop into this high-end sleek Eurocopter AS350 B2 Helicopter like you see on the movies. We are briefed first. We were their guests. We were also introduced to our pilot. Firstly a refreshing cool towel was given to each of us. After all the racing around, we appreciated this. Next, we watched a short safety film in the hangar whilst the pilot tended to last minute details of our luxury helicopter. We were all pretty excited, but especially Explorason. He has such a great life with all of our travels, and he knows and appreciates fabulous opportunities like this too. Earlier in our travels in 2013, we’ve flown over the Nasca Lines in a tiny airplane before in Peru, so we were no strangers to small craft. And recently we both had the joy of flying in a 1941 DeHavilland Tiger Moth owned by friends of ours in Australia. You can watch the YouTube here of that flight. We donned and tested our headsets, and our seat belts were adjusted and checked as we relaxed into the plush cream leather seats. Being a traveler is great. This was another new experience! 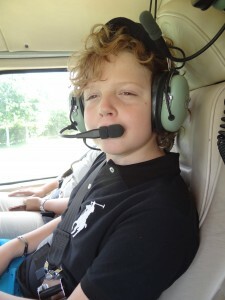 Flying in a helicopter is very different than even a small aircraft. For starters, you go straight up into the sky, and then out, not out and then up. As this is a luxury helicopter, it is equipped with state of the art mechanical and engineering technology, and panoramic windows. It is a LOT noisier than a pressurized aircraft cabin on a plane, thus the need for the noise-canceling headsets, which also allow communication between all the passengers and the pilot. 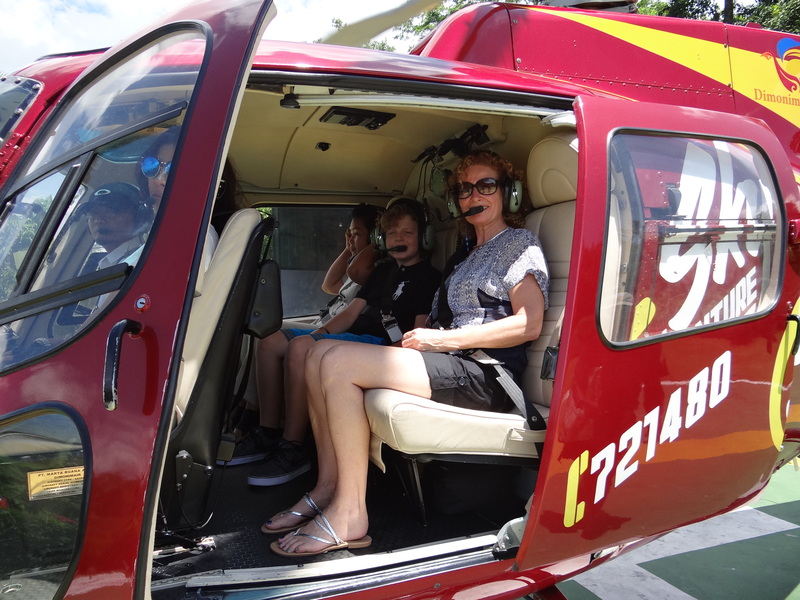 We also learn that kites are a problem for helicopter pilots in Bali – there are so many of them, and that our pilot has to be on the lookout at all times for them. 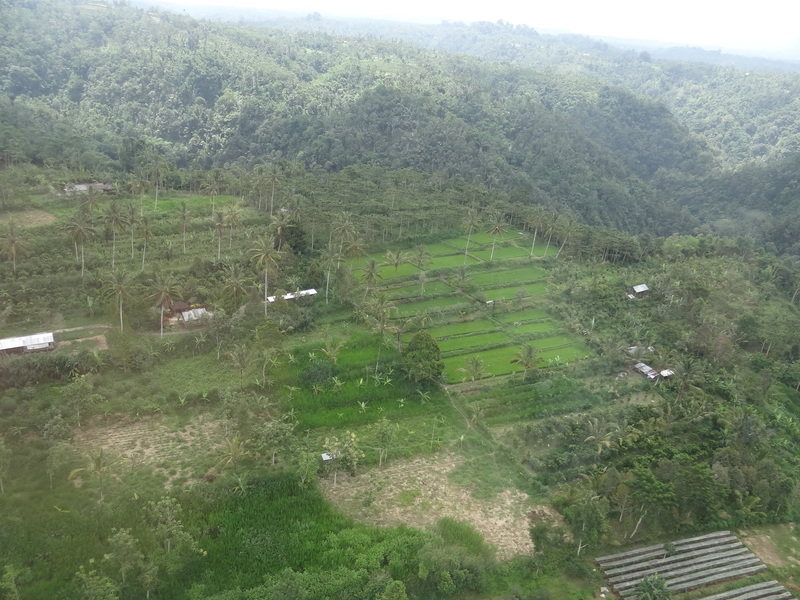 I am on the wrong side of the helicopter as we approach the famous spectacular Kintamani Volcano. Fun Fact – Bali actually has many volcanoes. Back in the helicopter, it is “sorry folks” from me. I do an impulsive and massive lean over Explorason and the lovely Safari Park Guide in our rear seats, to try and get a photo of the inside of the crater. You can just see it to the right of the above photo. I feel so sad, and I tell the pilot “I missed taking the shot”. 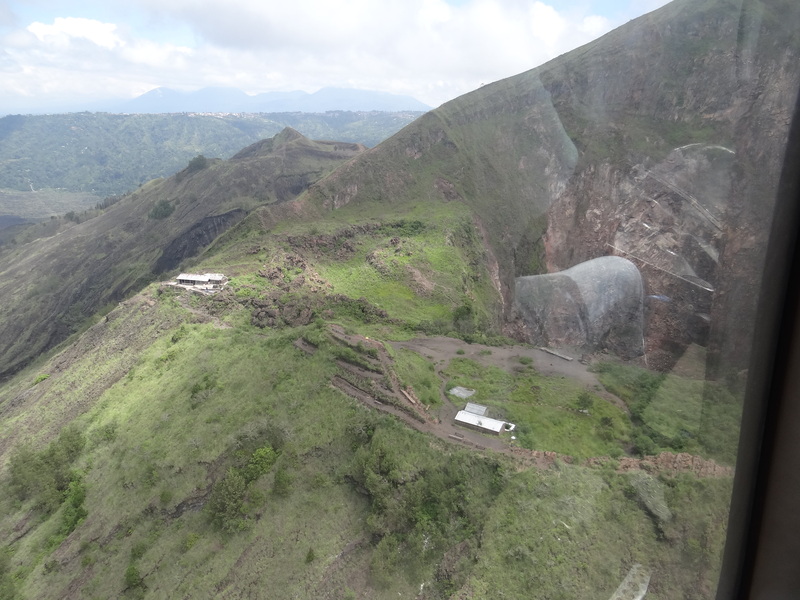 Not to worry, we are going around the top of the volcano, and going to give it another try. As we do the second flyover, the white and light grey misty clouds move in, and the crater is completely obliterated. 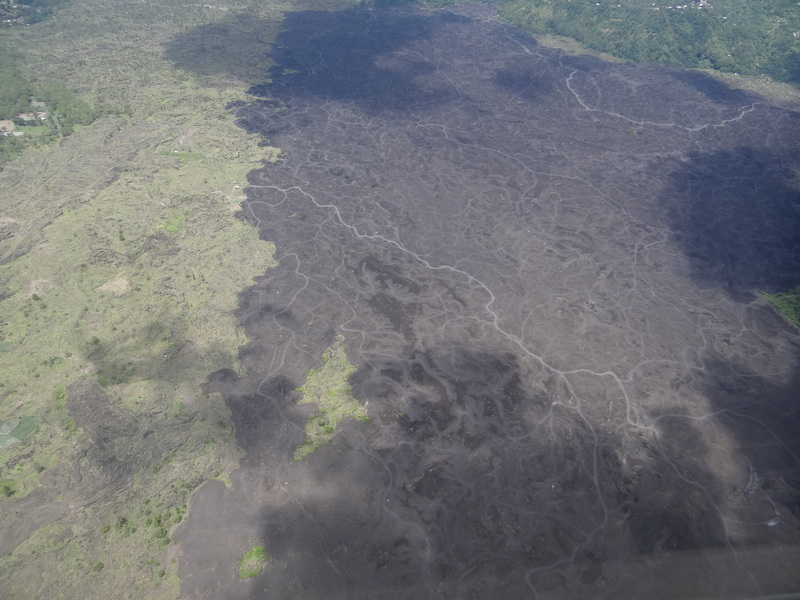 We see where molten lava has once flowed, and the ground is now blackened with a mass of volcanic rock. This area is unusable for crops, and not safe for housing, and it appears barren and void of life. Apparently, quad and motorbikes love coming up here to ride and play performing daredevil tricks and burn-outs. • Basalt is an extremely common volcanic rock with low silica content equal to gabbros. • Rhyolite is a volcanic rock with high silica content similar to that of granite. In Australia in the 1980’s, the volcanic rock Scoria was a hit, especially for arid and water-restricted gardens, and those who wanted a desert look. 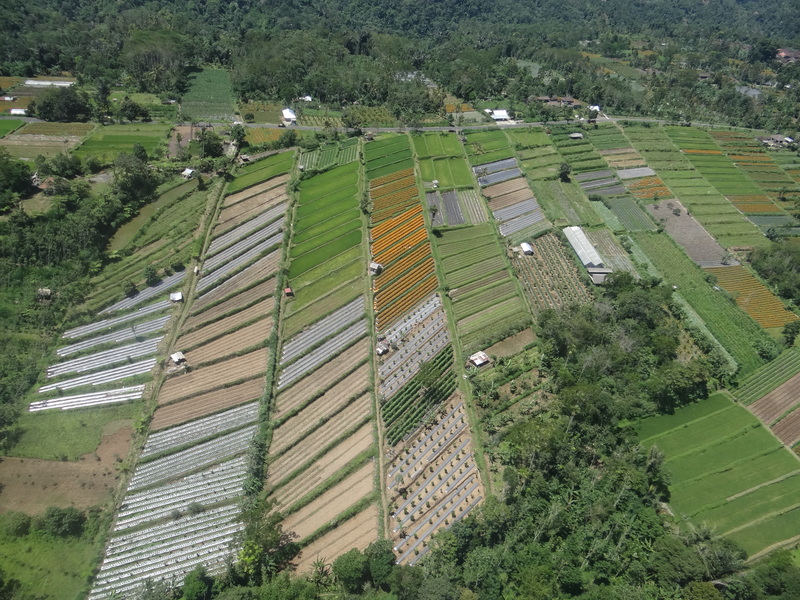 One of the beautiful areas we flew over was a patchwork of farmed colorful fields. With the marigold being a long-lasting flower, and one that is also used for their Hindu Temple offerings, many orange fields could be seen below. Watch us on YouTube in this helicopter as we swoop over the hills and lakes. As we swoop over the top of a massive hilltop, the lake bursts forth in view is before us. We all let out a bit of a scream, and it is quite fun! 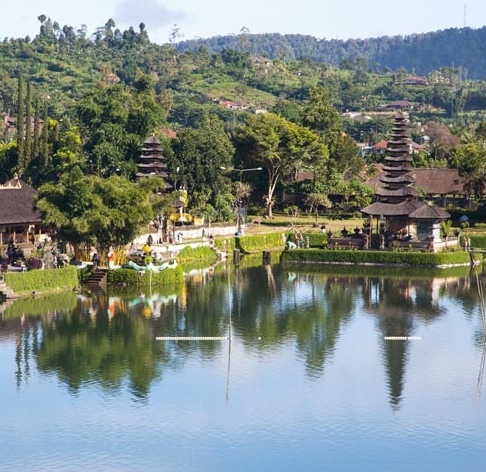 Caldera or Lake Bedugal is Bali’s most famous lake and is 1200 meters above sea level. 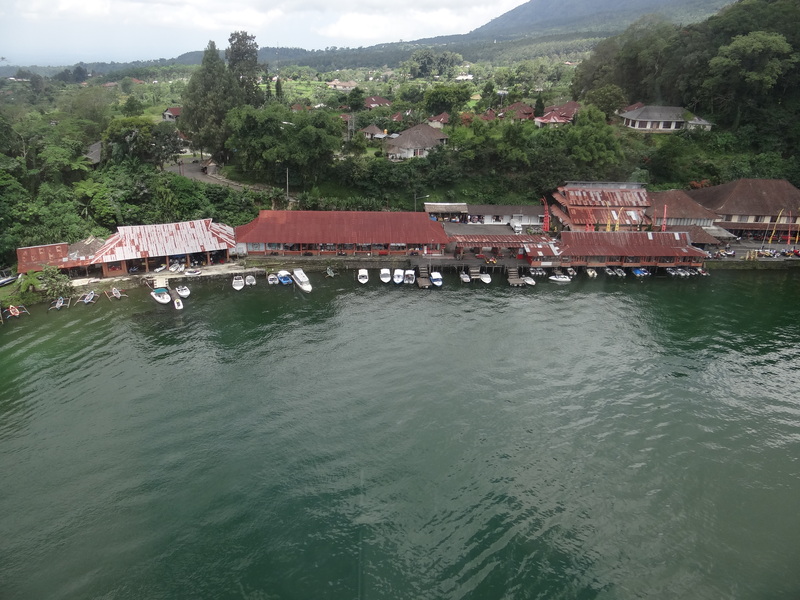 To the side of this lake, we fly past the famous Bedugal Mountain Lake Resort. This resort area features a water temple and botanical gardens. It is also close to the Bali Handara Golf course. We learn that individual, small group, and VIP helicopter rides can be booked from several island locations, and for numerous reasons. Perfect for the busy person, or for the executive within a limited timeframe, but wanting to maximize their time in seeing the most of beautiful Bali. 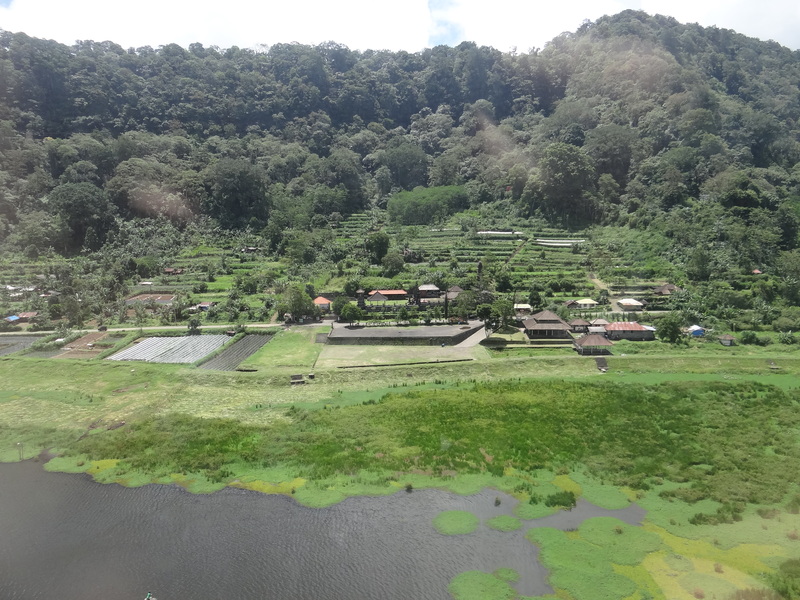 As we fly back, we pass over numerous gorgeous valleys, rice fields, and coconut tree plantations. It is so pretty – I love it! 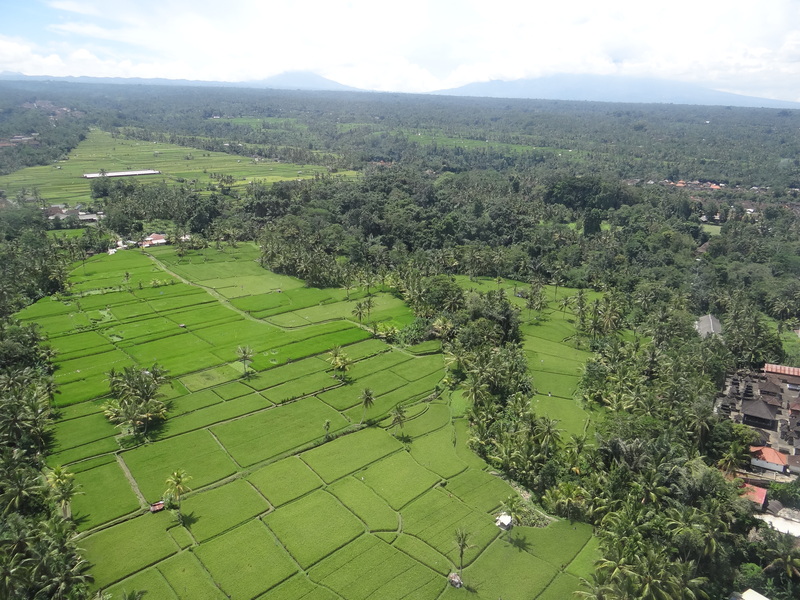 Because we are lower than an airplane, we get a birds-eye view of some the lush green beauty that Bali has to offer. We return to the ground and land safely (of course), and are offered cool bottled water and a refreshing towel as we ‘find our feet’ again. Time has gotten away from us. It is nearly 2:00 pm, and after thanking the pilot and Yanie for this fabulous opportunity, we now walk back to our room and prepare to leave the Elephant Safari Park Lodge. 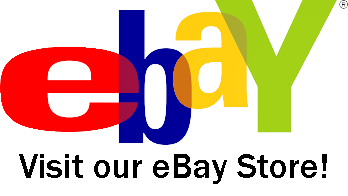 We quickly arrange our transportation and return to pack our bags. If I had the time over again, I’d book more than one night here at Elephant Safari Park Lodge. I had no idea there was so much to see and do. 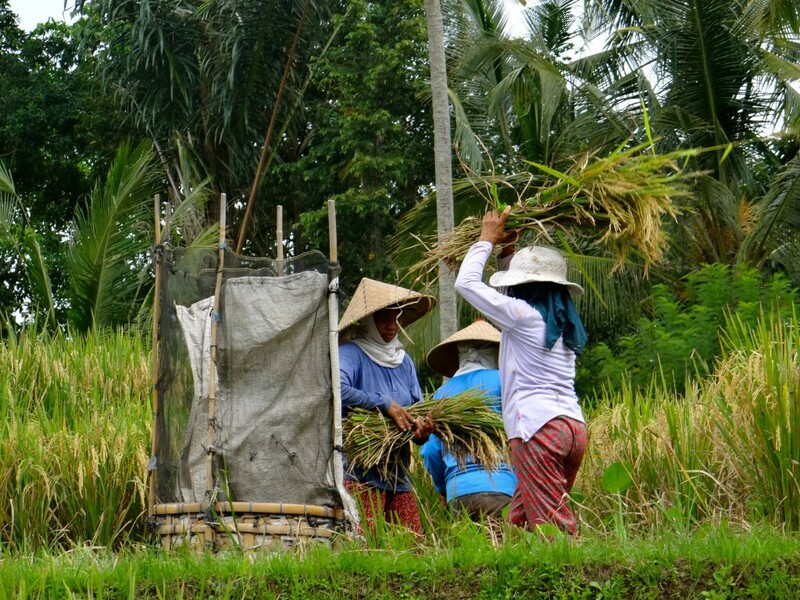 We drive back into Ubud, and this time we get to ask the driver to stop as we see ladies threshing the rice in the fields beside the road. What an amazing two days we’ve just had! I had no idea that life would change drastically for me personally after this magical stay. 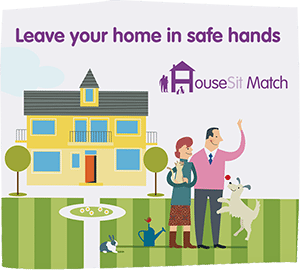 You’ll have to wait to see what happens with our next stay in Ubud for me as a single Mum. It changes our travel plans and is quite unexpected, but I’ll write about that in another article. Wow! What an experience. You look like you are having the most amazing experiences. 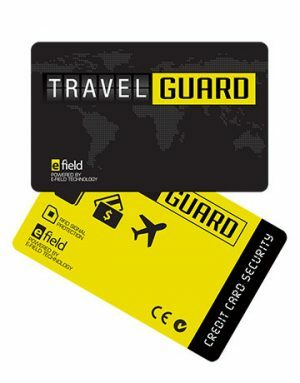 I love how you show us so many options and varieties of travel. This looks amazing. Awesome experience! No wonder that you were thrilled! I bet your son will never forget this flight.